Physiologically difficult airway: airway management in the critically ill patient, whose underlying physiology puts them at higher risk of cardiovascular collapse with intubation and conversion to positive pressure ventilation. 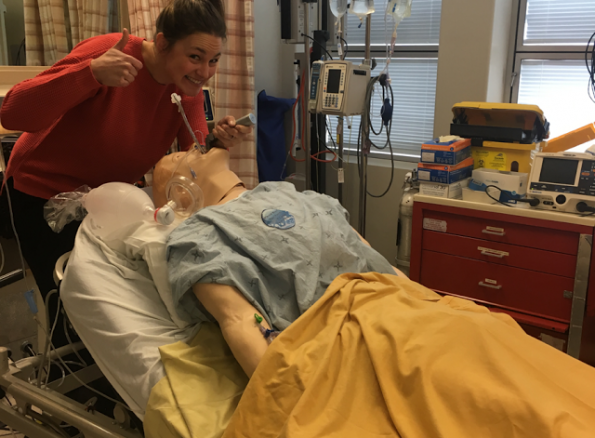 This would suggest that a one-size-fits-all approach to intubation should not be the norm and that we should take patient factors into account when planning emergency intubations to avoid preventable critical outcomes. Miguel-Montanes (2015) found significantly improved pre-oxygenation in patients with mild to moderate hypoxemia compared with NRB (2% vs 14%); patients were excluded if O2 sat < 95% on NRB prior to enrollment. Subsequent randomized trial (Vourc’h 2015) of hypoxemic ICU patients however concluded that HFNC as a pre-oxygenation device did not reduce the lowest level of desturation compared with NRB (91.5% vs 89.5%). Of note, HFNC was left in place during intubation attempts for apneic oxygenation in both of these studies. If patients don’t achieve saturation > 93-95% after 3 min of pre-oxygenation, they are more likely to desaturate during apnea and intubation due to shunt physiology of the alveoli; this can be partially overcome by increasing mean airway pressure. patients pre-oxygenated with NIV had higher oxygen saturations before intubation (98% vs 93%) and were less likely to desaturate (<80%) during intubation. Positive pressure can also be applied with PEEP valve applied to the exhalation port of a standard bag mask with tight seal. This will only provide PEEP with expiration, however the addition of nasal cannula at 15 L/min as well will provide continuous PEEP. theoretical benefit of decreased risk of passive regurgitation in this position. A study of 528 out-of-OR intubations (Khandelwal 2016) found a 13% absolute reduction in complications for patients intubated in this position. This benefit was preserved even when results were adjusted for BMI and predictors of difficult intubation. These results are self-reported, subject to reporting bias and intubations using video laryngoscopy were excluded, which invites an element of selection bias if these devices were chosen for anticipated difficult airways. A prospective RCT is needed to confirm these findings, but this is an easy maneuver to do to optimize several elements of airway management, with no added cost or risk to your patients. Reverse Trendelenberg positioning may also be useful in patients who can’t bend at the waist or shoulders, as in those in whom here is concern for possible spinal injury. A blinded crossover RCT by Teller (1988) found that during pharyngeal insufflation with 3L by nasal catheter, O2 sats never fell below 97% during a 10 minute apneic period. A 2010 study by Ramachandran randomized obese men undergoing elective intubation to receive apneic oxygenation at 5L/min or nothing and found the time to desaturation below 95% to be significantly prolonged (5.5 min vs 3.5 min), with a higher minimum O2 sat as well (94% vs 87%). Increasing flow rates of nasal O2 administration up to 15L/min ensures delivery of set flow to pharynx. This was shown to be safe with no adverse events (Brainard 2015). The use of high-flow nasal cannula with heated humidified O2 also eliminates the concern for dessication and discomfort. A recently published observational study in the ED by Sakles (2016) found that ApOx was associated with increased odds of first-pass success for intubation without hypoxemia (82% vs 69%). The authors’ conclusion is that ApOx prolongs safe apnea time, preventing multiple intubation attempts that have been shown to be associated with increased risk of adverse events. This study is limited to a single-centre ED and is subject to reporting bias as data was collected from forms completed by the intubator following the procedure. In summary, there appears to be no harm to apneic oxygenation, but there may not be benefit in patients requiring NIV or BVM ventilation for preoxygenation, given the shunt physiology exhibited. – Several physiologic reasons for hypotension after emergent endotracheal intubation: decreased preload given decreased venous return from the initiation of positive pressure ventilation, attenuation of catecholamine surge with resolution of hypoxia/hypercarbia (especially in hypovolemia), vasodilation and myocardial depression due to induction agents, and underlying pathology (cardiopulmonary, acid-base, sepsis, hemorrhage, hypovolemia). – A retrospective study of intubations in a large urban ED (Heffner 2012) found the incidence of postintubation hypotension in patients who were hemodynamically stable before intubation to be 23% (almost 1 in 4 patients). This was independently associated with a higher risk of in-hospital mortality and longer ICU stay. Immediate pre-RSI shock index was the variable most strongly associated with post-intubation hypotension (OR 55). Other factors included ESRD and age. – A Canadian study out of Halifax by Green et al. identified that 44% of patients intubated in the ED developed post-intubation hemodynamic instability. Increasing age, COPD and pre-intubation hemodynamic instability were identified as associated risk factors. Presence of hypotension before intubation predicts catastrophic consequences in the postintubation period; however, arterial pressure is well regulated by reflex compensatory mechanisms and so does not begin to change until late in the progression toward cardiovascular collapse. In the context of emergent intubation, 2 studies have examined SI. Besides the Heffner study, a retrospective analysis of 140 normotensive patients intubated emergently in the ICU (Trivedi 2015) found a significant association between a preintubation SI >0.9 and the development of sBP less than 90 mmHg in postintubation period. Patients with elevated SI also had higher mortality rate. Further studies are needed to evaluate the role of SI as a variable in prognostic scoring systems, but this is a quick and noninvasive way of predicting who is at risk for deterioration in the peri-intubation period and in whom you should intervene before intubation. Establish at least 2 proximal peripheral IVs; can give RSI medications intraosseusly if necessary, as demonstrated in prospective study from a combat hospital in Afghanistan (Barnard 2015), which showed no difference in first-pass success or laryngoscopic view with meds administered via IO. Volume loading (at least 500mL if patient isn’t in pulmonary edema; 1L wide open recommended) +/- blood in hemorrhagic shock. Increase in circulating volume will increase mean systemic pressure and venous return; if right heart can accommodate increased venous return, cardiac output will increase. In RV failure, there is a risk of volume overload with even a small fluid challenge: the pressure overloaded RV can increase diastolic wall tension and LV diastolic dysfunction, which leads to decreased LV filling and stroke volume. Cardiac output is impaired due to ventricular interdependence , when the septum is pushed into LV, leading to impaired function. It is better to resuscitate with vasopressors – norepinephrine is the pressor most extensively studied, could also use epinephrine; important to avoid phenylephrine as it will worsen pulmonary vasoconstriction, further increasing RV afterload. If your patient is hypotensive – start norepinephrine before you intubate, anticipating hemodynamics will worsen. If not hypotensive, consider bolus dose phenylephrine – pure vasoconstrictor (for vascular tone until medications wear off). A retrospective study (Panchal 2015) of 119 hypotensive patients requiring intubation who had received push-dose phenylephrine peripherally pre- or peri-intubation found a 20% increase in BP with no effect on heart rate. Bolus dose epinephrine is also an option as it will also provide improved cardiac output. Peripherally infused pressors can be administered safely in the ED: a recent review article by Loubani identified risk factors for extravasation – IV site distal to antecubital/popliteal fossa and prolonged infusion (average 60 hours). Use of topical lidocaine spray may be all that is needed in severe hemodynamic compromise. All induction agents can contribute to hypotension due to decreased vascular tone and reduced venous return; propofol and benzodiazepines will also decrease sympathetic tone, leading to myocardial depression. Hemodynamically stable agents are recommended, such as etomidate and ketamine. A comparison of the 2 for intubation in sepsis found no difference in serious complications. While the literature is sparse, a review article of ketamine (Morris 2009) concluded that it represents a “very rational choice for RSI in hemodynamically compromised patients”, including those with brain injury. Ketamine acts as sympathomimetic in patients with intact autonomic nervous system. Important to use with caution though – while it is less likely to cause hypotension than propofol, a pre-hospital study (Miller 2016) of 112 patients found that ketamine was associated with hypotension in patients with shock index >0.9 prior to induction. This reinforces the importance of resuscitation prior to intubation. Patients who developed hypotension likely had depleted catecholamine stores and limited sympathetic reserve. Dosage adjustment: recommend at least 50% reduction in induction dose for at-risk patients in uncompensated shock. The use of neuromuscular blocking agents has been independently associated with reduced risk of post-intubation hypotension. Paralytic agents will take longer to work in shock state as they are dependent on cardiac output and need to get to peripheral musculature – higher doses may be required. Resuscitate before you intubate: calculate the shock index (HR/sBP) to identify patients at risk for post-intubation hypotension and cardiovascular collapse; use caution in right ventricular failure. Thoughtful choice of hemodynamically stable RSI medications. A retrospective case series from the NYC poison centre of 7 patients who received mechanical ventilation in the setting of ASA poisoning found that all patients reviewed had marked decrease in pH and increase in PCO2 after institution of mechanical ventilation, leading to death in 2 patients (Stolbach 2008). Mechanical ventilator sometimes can’t match pre-intubation alveolar ventilation – would recommend avoiding intubation if possible – short trial of NIV may help to support work of breathing until correction of metabolic acidosis can occur. Proponents of bicarbonate argue that a low pH is harmful (most notably due to impaired cardiovascular function), and if bicarb can increase the pH when infused IV, why wouldn’t you give it? A review published in Chest (Forsythe 2000) examined the literature for the use of sodium bicarbonate for the treatment of lactic acidosis. There is no evidence that venous or arterial pH is representative of cellular pH. The mounting evidence in patients ventilated with permissive hypercapnia in lung-protective ventilation strategies doesn’t correlate with depressed cardiac output in acidemia, in fact these patients tolerate the acidemia well. Furthermore, while it has been shown that IV bicarbonate can raise the blood pH, it is not clear whether this leads to an increase in cellular pH. CO2 produced in the blood as bicarbonate reacts with metabolic acids can diffuse readily across cell membranes while bicarbonate does not, which could in fact decrease intracellular pH further. No controlled studies have shown improved hemodynamics or catecholamine responsiveness due to sodium bicarbonate infusion. This is obviously not the case in salicylate poisoning, where sodium bicarb infusion in the mainstay of treatment for alkalinization of plasma and urine. Maintaining spontaneous respiration is key, so that the patient can maintain their own high minute ventilation – consider awake intubation in these patients. AVOID RSI – if you must, should choose succinylcholine (short-acting neuromuscular blocker) and low-dose sedatives – minimize time that the patient’s ventilatory drive is compromised. Measure end-tidal CO2 prior to induction and target this number, along with their pre-intubation RR on the vent. 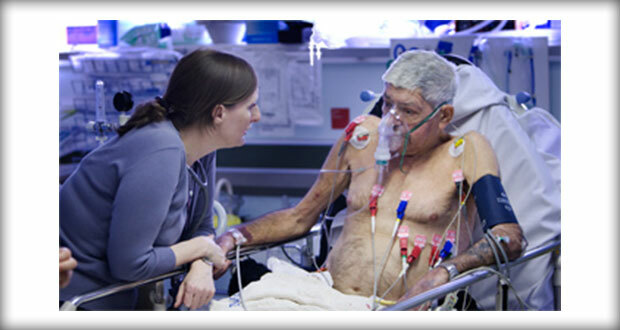 Ventilator-assisted preoxygenation – trial out of Australia combines nasal oxygen at 15 Lpm and NIV for preoxygenation and pressure controlled ventilation during apnea (Grant 2016). Ventilation during onset of muscular relaxation can avoid or delay the rate of increase of PaCO2 during apnea and avoid cardiovascular collapse. 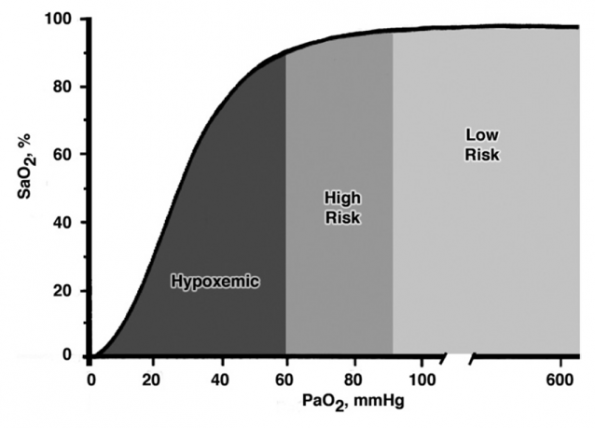 For the hypoxic patient: preoxygenate, either with NRB, HFNC or NIV depending on severity of hypoxia, so that they don’t fall off that oxyhemoglobin cliff. Apply nasal cannula at 15 Lpm for apneic oxygenation to prolong safe apnea time. Start in head-up back elevated position for improved views and possibly decreased complication rate. 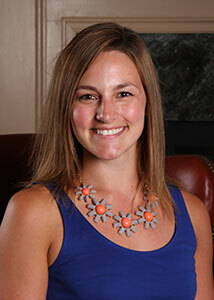 Dr. Lauren Lacroix is an 5th year Emergency Medicine resident at the University of Ottawa, with a special interest and fellowship expertise in resuscitation management.